Learn More About the DCRC Resources! The Devereux Center for Resilient Children offers a variety of resources designed to promote resilience of young children, birth through preschool, as well as for the adults who care for them. You can order resources directly from us and you can order select items from our publisher, Kaplan Early Learning Company. Need resources for school-age children? Visit our partners at Aperture Education. 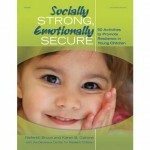 Socially Strong, Emotionally Secure: Offers 50 activities for parents and teachers to do together with children; all of which promote healthy protective factors! 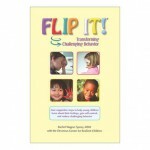 FLIP IT!® Transforming Challenging Behavior: Details a four-step approach to helping children recognize feelings, gain self-control, and problem-solve. Building Your Bounce: Simple Strategies for a Resilient You: Contains helpful ideas linked to the Devereux Adult Resilience Survey (DARS) to help caregivers build their own resilience. DECA Infant Toddler Kit: Contains DECA-I (20), DECA-T (30), User’s Guide, Strategies Guide for Caregivers, Parent Guide (20), Building Your Bounce (3), and more! DECA Preschool Program, Second Edition Kit: Contains DECA-P2 (40), User’s Guide and Technical Manual, Strategies Guide for Early Childhood Professionals, Parent Guide (20), FLIP IT ®, Building Your Bounce (2), and more! Your Journey Together Kit: Contains Your Journey Together Coaches Guide & Curriculum, For Now and Forever (both Infant/Toddler & Preschool Editions), and Building Your Bounce! Facing the Challenge DVDs: Over 120 minutes of instruction, expert interview, and rich video of real preschool and kindergarten classrooms. Contains a 120-page Trainer Guide. Classroom Moments DVD: Contains over 25 video clips of real preschool and kindergarten classroom footage. Ideal for use in presentations, college courses and for staff development. Contains a 60-page Trainer Guide. FLIP IT!® Reminder Resources: These Reminder Resources help reinforce the use of the FLIP IT! strategy. Posters, reminder cards, magnets, bracelets, FLIP books and more! 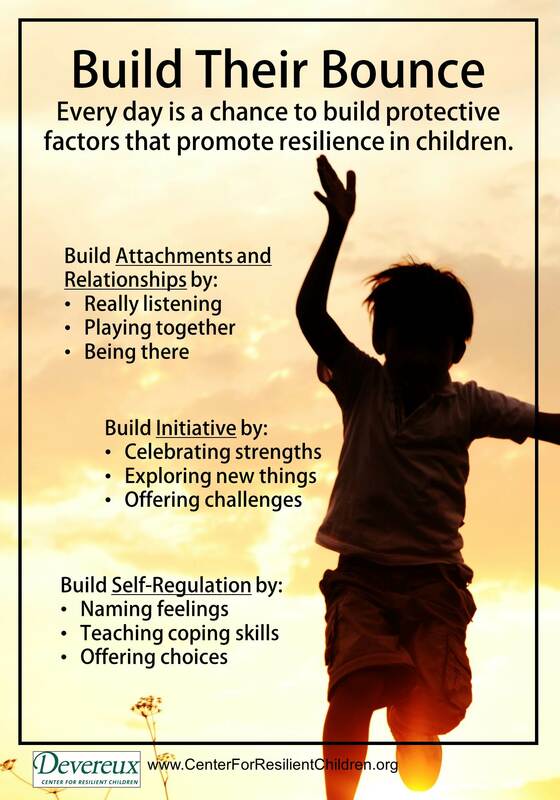 Build THEIR Bounce - Youth Resilience Posters: These posters includes strategies for reinforcing resilience in the children you work with. The posters are in full color & 16″×19″. 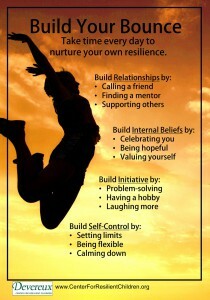 Build YOUR Bounce - Adult Resilience Posters: These posters includes strategies for reinforcing your own resilience. The posters are in full color & 16″×19″.